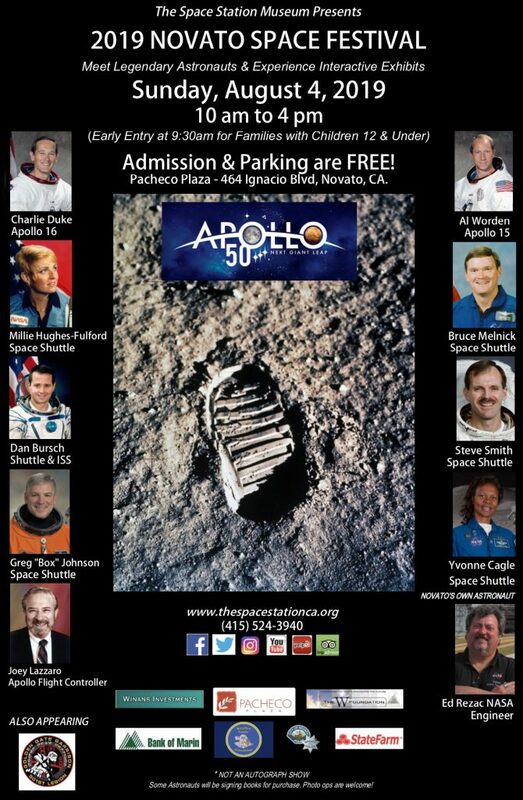 The Novato Space Festival is proud to join NASA and the space community in celebrating the 50th Anniversary of the Apollo program that put a dozen astronauts on the moon. NASA created the logo below to acknowledge the great accomplishments of the past and how they will propel us to greater horizons in the future. Find out more about the celebration at NASA’s 50th Anniversary site. 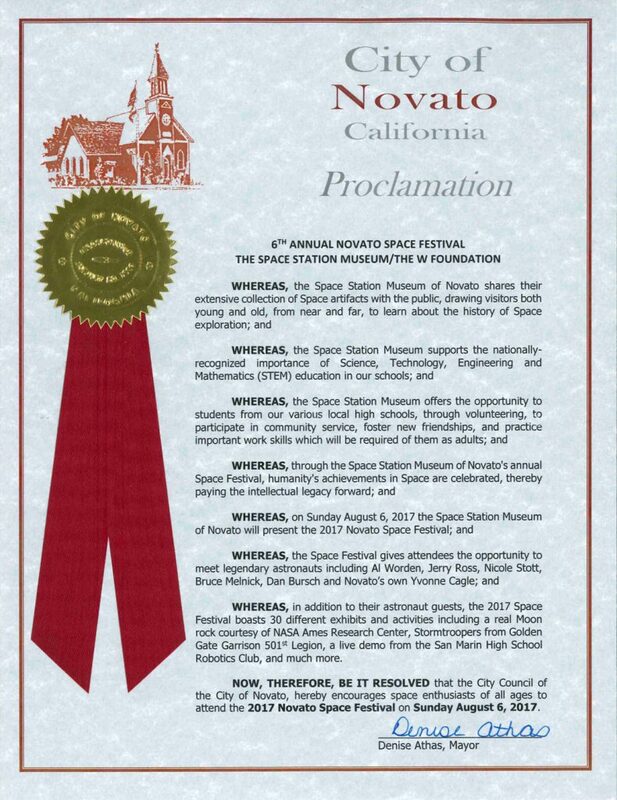 The City of Novato authored an official Proclamation encouraging space enthusiasts of all ages to attend the Novato Space Festival.